Shyness Becomes Him | Food and Drink | Style Weekly - Richmond, VA local news, arts, and events. 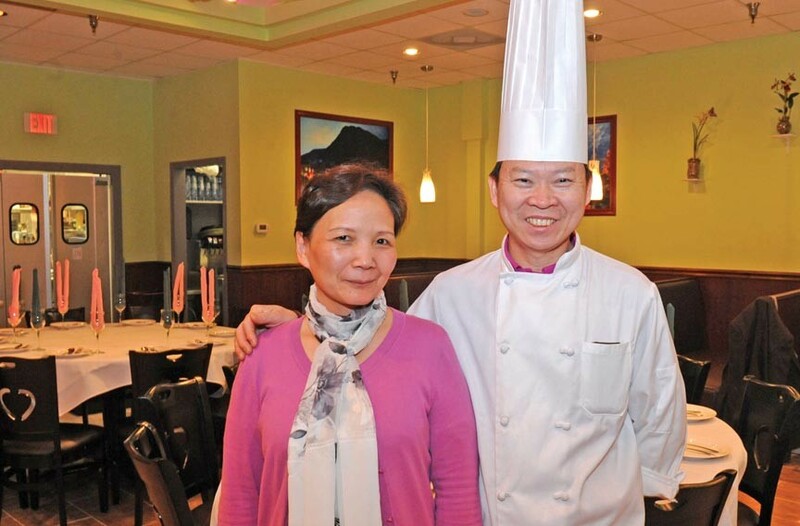 Chef Peter Chang and his wife, Lisa, stayed in the kitchen during their dinner party Feb. 8, except to bow for applause from food fiends who came to toast their new restaurant. As platters of dry-fried eggplant, shrimp toast and lotus root made the rounds, guests sipped Jefferson wines and marveled that a cult-figure chef had opened a restaurant here, unexpectedly close to Wal-Mart, ripe for attention. Could Short Pump be in a seismic food shift? Will Chang’s momentum lead to a downtown location at Miller & Rhoads? The business is called simply Peter Chang, at 11424 W. Broad St. Restaurateur Gen Lee is a partner, and his wife, Mary, is known for graceful hosting and for the photographs of favorite views of China which decorate the space. Chang, modest and Chinese-speaking, found his Sichuan cuisine immortalized in a Calvin Trillin piece in New Yorker magazine, then by a feverish multi-state following. Stanley Tucci just signed on for a feature film about the chef, although the actor did not appear, as whispered, at the Richmond event. Peter Chang lunch specials are about $8; the 80-item menu puts most entrees in the $13-$18 range. Snacks, soups, noodles and tofu are familiar, with ingredients and heat levels described so that spice-phobes needn’t wonder. Lunch and dinner are served daily from 11 a.m. 364-5168. A takeout line is at 364-1688.